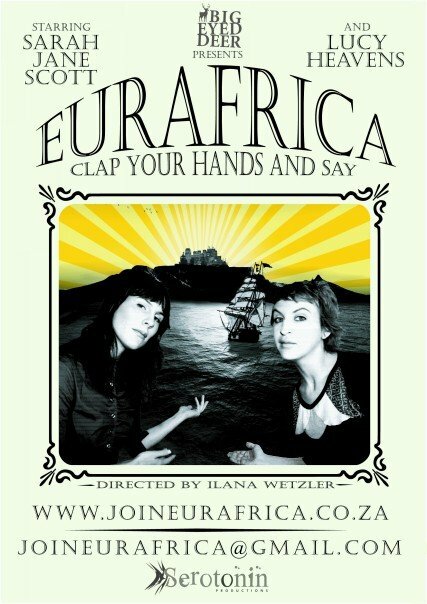 Eurafrica is a live performance piece with a twisted, satirical storyline. Aida and Gwen considered leaving South Africa , but Europe is very cold and they only have South African passports. They have decided to mobilize ‘their people’ towards the formation of ‘Eurafrica’, a small, self-styled kingdom on the top of Table Mountain. In ‘Eurafrica’ citizens are non-discriminatory – everyone is welcome! As long as they subscribe to European values. Essential benefits would be the glorious Cape climate and first-world department stores. 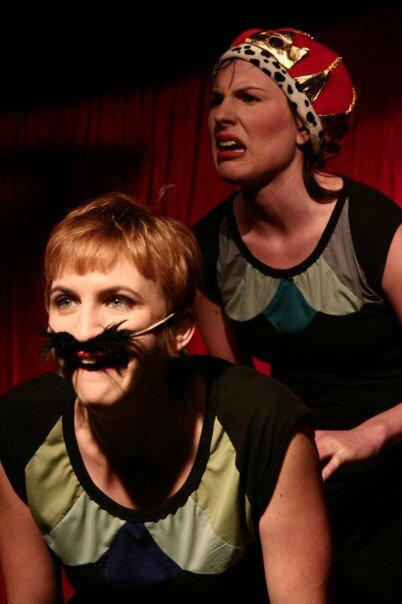 I had worked with Sarah and Lucy in our graduate year of film school where we won best live performance that year for a play called Magdelene in Wonderland. Eurafrica went on to win the distinguished Fleur De Cap Peoples choice award 2008. I was able to raise R10 000 from BASA which paid for our tour to Grahamstown Festival. After Grahamstown the girls set of to Edinburgh for 4 weeks. Every where the play went it made a scene with great reviews to follow. With the help of our earlier venues like The Albert Hall Eurafrica got of to a great start. I must also thank Ilana Wetzler for her tremendous input, creativity and knowledge about the play world and being able to market the hell out of something! Ilana later took over as producer when I moved to Johannesburg and the play did a long run in Cape Town thanks to her. Although quite silly, this was a treat to shoot. The actresses playing in character while we shot the promo for their New Self Styled Kingdom on top of Table Mountain. Ilana an I did a day of questioning the ladies about their new kingdom and Sarah and Lucy improvised as we went. I took about 4 hours of footage and cut this together.